This week’s issue contains a sample of a cardboard pinhole spectacle which Style Eyes Ltd of St Albans has developed as a promotional tool to encourage patients to test their vision. 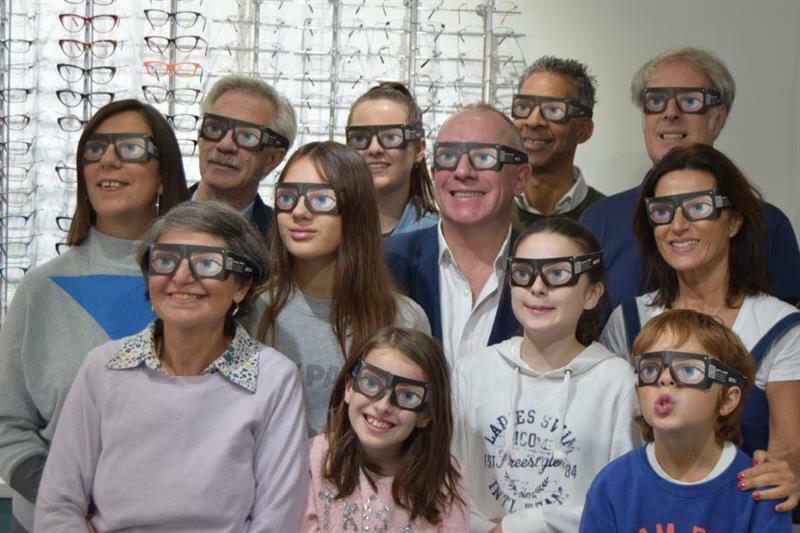 The idea behind the pinhole specs was developed by Style Eyes Ltd owner John Snelgrove, he is inviting practices and other businesses to utilise the idea by adding their branding and distributing the specs to prospective customers. The specs come with the option of eyes featuring one of four different ethnicities and the chance for firms to print logos and wording on the sides or all over the frame. To support the specs Snelgrove has also developed a 3m test chart which can be downloaded or printed out and distributed with the cardboard specs. When put over existing spectacles the pinhole specs highlight any possible improvement in vision, for those who do not wear spectacles, either for near or far, this can be achieved by simply putting them on. Snelgrove said the options for specific tasks, such as driving, can also be promoted by combining the specs with the 3m chart. Snelgrove, who also owns Enhanced Optical Services, will shortly post the specs out in his local area, with an explanation of the pinhole effect. Promotional packs will also be sent to local businesses with 10 pairs of the specs and a 3m chart inviting them to: ‘put your art work here’ and promote their business. Style Eyes and the Eye Need Sight charity are supporting Vision Care for Homeless People with donations from a percentage of the card sales.